The weather here has been absolutely dreadful. Monday morning I made the mistake of wearing my lighter jacket, not realizing how bad the wind would be. With the windchill, it was about 0C/32F. Brrrr! I made coffee the second I got home, let me tell you. And now it’s Wednesday. The weather is a tiny bit better, but not really. It’s still cold, windy and rainy. One fun thing to do on days like this is to read. My current Dutch novel is Wabi-Sabi by Francesc Miralles. Wabi-sabi is a Japanese philosophy of accepting your imperfections and making the most of your life. But that’s not why I grabbed the book. I grabbed it because it starts with a cat! One note about the various editions: the Dutch version I am reading seems to be two books in one, totaling around 400 pages. If you’re instead reading it in English, you should look for Love in Lowercase to read the first half. Let me tell you: if the book had that title and this book cover instead I wouldn’t have given it a try. I am not big on romances. But to me, I just saw the cat. Which is funny, since I am not a big cat person. I tolerate them, of course. I think they are darn cute. I love how soft they feel to the touch. But I don’t really trust that they won’t go berserk at a moment’s notice and claw me for no reason. I love reading about them, though. Also try The Guest Cat by Takeshi Hiraide. 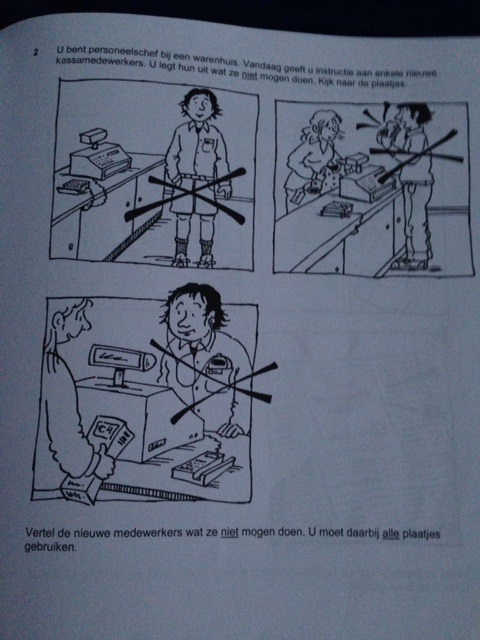 This book is pretty easy to read in Dutch. The font size is big enough (not any of that annoying fine print sized font) and the author has a habit of writing 3-4 page chapters. You won’t hear me complaining about that. I do remember one time I found a book in Dutch online, thinking it would be a great read. I checked it out from the library without opening it until I got home. Imagine my disappointment when I saw the abysmal font size and the lack of paragraph breaks (seriously, I found a page with no paragraph break on either the left OR the right side). That one quickly went back to the library unread. Anyway: the theme of this book so far is sort of the butterfly effect (an idea that a small change can cause something much bigger to happen). The cat stops by, and ends up staying. Because of that, the main character meets his next door neighbor, ends up going to the vet, sees a love he thought he’d never see again, etc. It’s very enjoyable so far. Ah, and it’s raining again. I have tried to explain the difference before, back when I was actively in Dutch classes in what feels like a long time ago. But I must admit this website does the trick a lot better! Comic above is from Fokke & Sukke. The grammar doesn’t translate well into English, unfortunately. But the student is asking the teacher if instead of “Atilla the Hun” it is “Atilla the zij”, which makes sense if you consider the website above is trying to teach the difference between zij, hen and hun. Okay, so I missed the post for last week’s course! 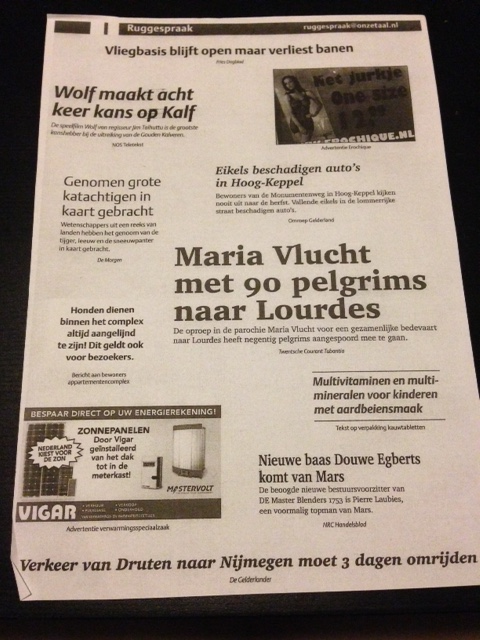 In actuality, it was just more fun to blog about Sinterklaas. A few highlights from last week include the word hekkensluiter which literally means “gate closer” but translates more as the person who comes last (or brings up the rear, or lags behind). If you think about a group of people crossing through a gate, it is always the last person’s responsibility to close the gate behind them. Another piece of grammar we learned last week was how adjectives which follow behind iets or niets (something or nothing) have an -s added to the word. But it has to come directly after iets or niets. Er is niets leuks op televisie. There is nothing good on tv. Ik wil iets bijzonders doen. I want to do something special. Wil je iets lekkers bij de koffie? Misschien speculaastaart? Do you want something tasty with the coffee? Maybe speculaastaart? wachten tot Sint Juttemis = waiting forever. Another way to say waiting forever is wachten tot je een ons weegt, or waiting until you weigh an ounce. Impossible to do and still be alive. Als je ergens mee zit = amusingly, Google translate says this is “if you sit on something”, but admittedly, it is not something to be translated literally. It means “if you have problems”. Type that phrase into Google and you will get a lot of self-help websites about depression and similar. And here’s a random picture of Scheveningen to close off the blog post. Not the best quality in the world, but it will do. Notice the tree off to the left completely covered in white lights. 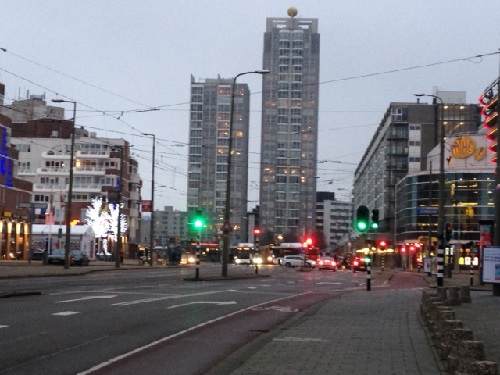 On the right side you have the movie theatre, Pathé, with the yellow logo on the top of the building. The north sea is behind the tall buildings in the center. And hey, I’ve now visited Scheveningen enough (and needed to look up tram schedules) that I can spell the city name without having to look it up… cool! This week, one thing that we covered in my Dutch class was the concept of ignoring what is officially illegal. The term for this (a verb) is gedogen. The Dutch do this with soft drug use (cannabis) – allowing “coffee shops” to exist. The rules call for no advertising to take place, no hard drug sales on the premises, no sales to those under the age of 18, no quanities greater than 5 grams, and no public disturbances. Ironically the coffee shop is allowed to buy and sell cannabis within the rules above, but the supplies of the cannabis are not allowed to grow, import, or sell it to a coffee shop. Thus the expression “the front door is open, but the backdoor is illegal”. During the class we also discussed the various forms of certain words. For example, nu (now) is both an adverb and a conjunction. Ik ga nu naar de bibliotheek. I am now going to the library. Nu het te laat is, komt hij. Now that it is too late, he comes. In the second example, nu translates to “now that”; you wouldn’t say nu dat het te laat is, but you still invert the order of the sentence as if you had done so. I’ll be honest – I had no idea about this one and could only stare at the teacher blankly as she asked if we had heard of this piece of grammar. Something similar can be done with toen (then), which I knew. It is also a adverb and a conjunction, depending on the sentence. This past week was the 4th of 10 lessons for the Dutch B2-C1 course at Volksuniversiteit in The Hague. One thing that stood out to me was the assigned homework. We had to construct a word web to show how you can go from one word to either synonyms or antonyms. The original discussion came from discussing the qualities that the Dutch are known for, and being tolerant is one of them (opinions can differ, of course). Hence the Nederlands on the right (for Dutch). On the top you have three verbs which are similar to the noun, including to accept, to understand (though probably begrijp is better) and to allow. After that you have antonyms: intolerance and discrimination. 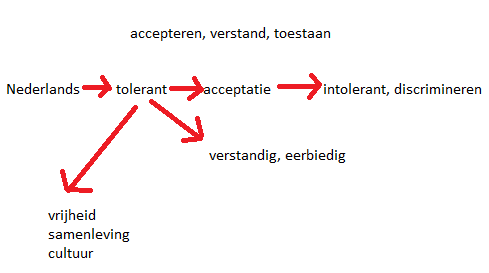 On the left, underneath, you have expressions or feelings which are created when talking about tolerance (in this case: freedom, living together, and culture), and further two more adjectives: understanding and respecting. Not the perfect representation but you get the idea! It was definitely an interesting assignment. 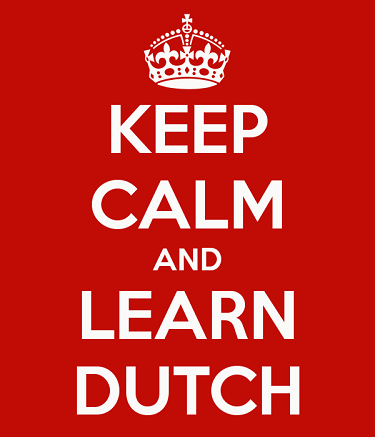 Difficulty with reading, writing or speaking the Dutch language? Stop by the Taalhouse on the second floor of the Centrale bibliotheek. Here you can find books, cd-roms and practice material to help you. During the consultation hours there is someone available to help you with questions. You are welcome to stop by. What does the Taalhuis do? If you need help with learning how to read or write the Dutch language better, you can come to the Taalhuis. Volunteers can support you by finding the right information about language courses or education in The Hague. But the Taalhuis also has a collection available to help you with self study: study material to learn reading and writing the language better. Or to help someone else with improving their language abilities. The collection in the Taalhuis is available during the opening hours of the Centrale bibliotheek. Only during the consultation hours is someone available to help you with finding a course that works best for you. Nieuwe baas Douwe Egberts komt van Mars = The new boss for Douwe Egberts [coffee company] comes from Mars… but they mean Mars incorporated, the candy/etc seller, not the planet. I hope. Verkeer van Druten naar Nijmegen moet 3 dagen omrijden = Traffic from Druten to Nijmegen must detour for three days. What they actually mean is that the need for a detour will last three days – the Netherlands is definitely not big enough for a three day detour! Eikels beschadigen auto’s in Hoog-Keppel = Eikels has two meanings in Dutch. The first, and what they mean here, is acorns. But it is also slang for the derogatory term ‘prick’ – which also makes sense in this context, though you’d never see it in a headline. We also talked a bit more about the term “lekker” and the various ways it can be used. It is at times a hard concept to grasp for the non-Dutch. The easiest way is to use the term is with food, to say that the food is tasty (lekker). But you can also use it with temperature or weather – Het is lekker warm buiten, with smells – Dat ruikt lekker. – with sounds – De gitaar klinkt lekker, and more. You can even use it sarcastically: Dat is lekker belangrijk (That is really important – but not really). Or Hij is lekker laat. He is late. Or the oddest of them all: Het stinkt lekker! Since things stink (but some people still like the smell). Next week is herfstvakantie (fall vacation) so I will have a week off. So… as I mentioned a few weeks back, I registered for a B2-C1 course. Originally I had registered for a course which focused only on the speaking component but that fell through, so I am now registered for a full B2-C1 course (speaking, writing, reading and listening). It’s… interesting. I have been to two lessons so far (hence the blog post title). Het huiswerk? Daar had ik echt geen zin in! The homework? I had absolutely no desire to do that. But the second week seemed better, and more like a routine again. You can tell that it is an advanced course – the emphasis is more on “the little things”. I learned a new term from our textbook Hogerop! De puntjes op de i — the term is prosodie (English | Dutch wikipedia). It’s the study of rhythm, stress and intonation of speech. How does it sound to your ear? Does it sound like a native speaker is talking? An example is using contractions like a true speaker would — ‘k instead of ik, ‘m instead of hem, and similar. Much like English would say “I wouldn’t do that” instead of “I would not do that” which sounds less natural. There’s also an emphasis on uitdrukkingen or fixed expressions, like met een mond vol tanden staan, or ‘with a mouthful of teeth’ = not able to say anything. So – it’s a class to round out the edges and refine your language skills. Officially it ends in early December, but I found out during the last lesson that that this is technically only half of the B2-C1 course, and that the other half is offered in the Spring. Hmmm. We’ll have to see what happens! Last night I signed up for another Dutch course! I know that I said I would wait until the Spring… but I guess I just couldn’t stay away. This one will focus just on Dutch conversation though (to try and improve my speaking skills) rather than a full course offering (reading, writing, listening, speaking). The course I signed up for was at the B2-C1 level (see Wikipedia). Woo — moving into the ‘proficient user’ stage! Of course it comes with a textbook – which appeals to the librarian in me! It begins in a few weeks – after Marco and I go on vacation next week. We’re heading off to the east of the country – Arnhem, Maastricht and the like. Ik kijk uit naar vakantie, hoor! Sort of a joke, but I complained to Marco that there were not enough spreekoefenen (speaking tests) for the NT2 programma II exam. There are a few on the website, and a few longer practice questions in the textbook De Finale, but not enough if you seriously want to study. 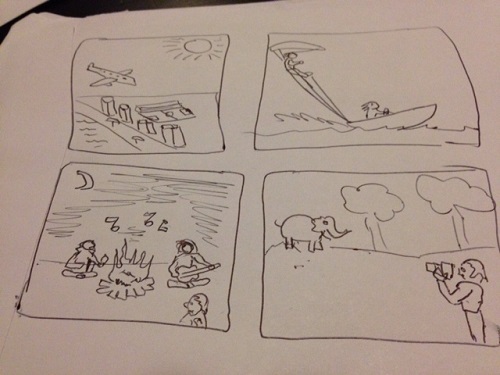 You can see an example of what I mean by looking at this image of an example question (medium length). So what does he do? He makes his own pictures and tells me that I need to make a story out of it (where did you go, how did you get there and what did you do).